Hello SVS! I finally treated myself to a subscription for Christmas this year and have been lurking around in the classes and the forums. I'm super excited to get involved in the community and really get my hands dirty with illustration this year. My biggest goal with illustration is to be able to do it full time from my home - right now I'm looking at both freelancing and doing children's books (a long time dream of mine) and to participate in the local and international communities through local conventions, social media, and a YouTube and Twitch page. Here's a piece I've done recently (also my avatar - I think I will keep it as my avatar across sites for the moment until I have the time to get some more branding done). I'd love to know how I could make it better! Also - I recently got a scanner and am excited to use nice, high res scans of my work both for online and for printmaking, but I"m finding that the scanner keeps blowing things out - especially my watercolors. Is there a way around this? I've touched this one up in photoshop, but I feel like I can't get the right balance - I feel like the darks end up way too saturated by the time I've gotten the lights balanced. Anyway, I'm super excited to be here and can't wait to meet everyone! I've gone through Jake's How to Draw Everything and his Inking class and I think I'll get into the Creative Composition class next. Welcome here! Wow, there are some things on your to-do list for this year. Good luck with everything. You are at the right place in this school and forum. 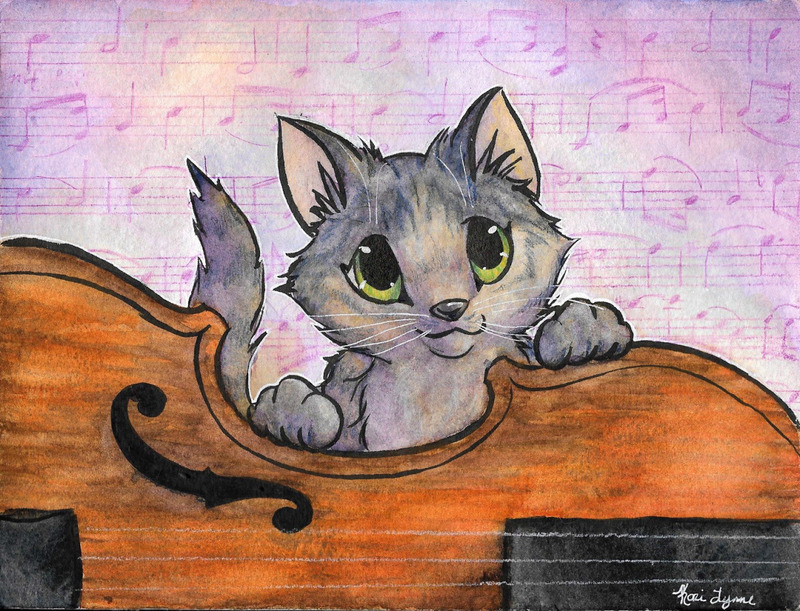 @handdrawnviolist Welcome to the forums! Welcome- you are going to love it here! @handdrawnviolist Welcome to the SVS! Welcome to the forum! What a lovely drawing you made, please post more artwork soon! Your watercolors look very nice. @Jana @Chip-Valecek @lmrush @Mara @drawingmelee Thank you all for the super warm welcome!! Sorry for the late reply - I've been arms deep in classes and loving it! @dulcie Thank you so much! I've only recently (as in 5 months ago!) discovered watercolor and I"m very much enjoying the different textures that are possible with the medium. I haven't had this much fun with a new medium in a very long time! (and am happy to have finally found a medium that's just about perfect for string instruments). I love your little mouse in your avatar - He's got so much appeal!